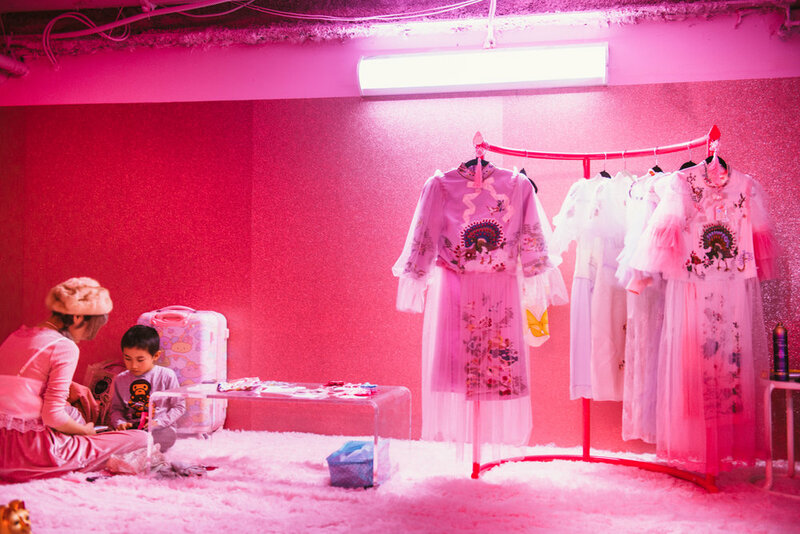 Artist Alice Longyu Gao put together a Harajuku-inspired Insta-worthy beauty room at the Moxy Hotel. 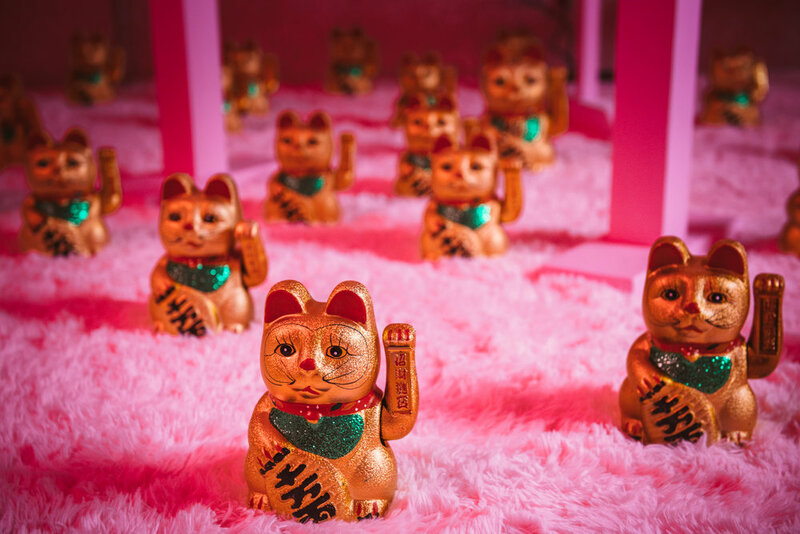 Lucky cat figures line the fuzzy floors and fortune cookies are on display to take before you do. Illuminated in neon lights, the room is a glimpse into Alice's mind. Alice plays her track made for the Juicy Couture NYFW show in the background while she herself gets her hair done by Kahh Spence. Offered in the space are nail appointments with artist Mei Kawajiri, jewelry workshops with Etsuna Otsuka and hair styling sessions with Kahh Spence. Per Alice's request, I got the extra pearls and sparkles on my nails. "Nothing can ever be too much in here," Alice says.